Great to see that majority can see through the farce of his man’s dubious story. Normally we don’t comment on such drivel but given the interest level we respond to set the record straight. The hotel took its position in addressing the accusation as the guest continuously choose to avoid payment of his hotel bills throughout his entire stay and when pressed on the 4th consecutive day for payment conveniently then claimed his passport and money were missing (eventually his hotel bill was settled by third party). Another reason the hotel further doubted his account was because he always told hotel staff that he knew and name-dropped the directors of the hotel hence it was ok for him to not prepay but the hotel can unequivocally state the none of the directors of the hotel knew this guest. His Identity was suspect as he refused to provide an ID or personal details on check in. His Facebook profile is also a fake and is just a front for his SMEAR campaign. The receptionist who checked him in without payment and was collecting daily tips from him in order to side step payment has been immediately reprimanded on suspension pending further investigations. He tried his best to check out of the hotel without paying saying his items were missing and that he wants to check out and go to the police. 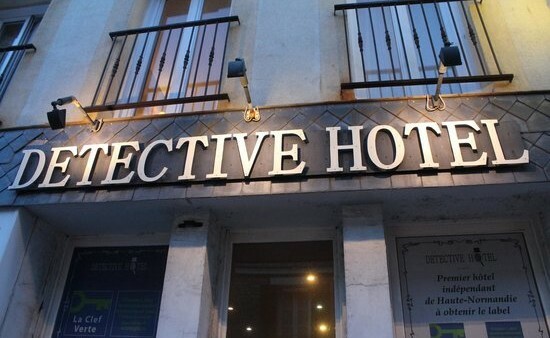 However, the Hotel resisted and insisted he pay his bills before checking out and then by all means, please report the matter to the police. The hotel did not stop him from calling the police, he had a phone on his person but rather than use it to call the police, he used his cellphone to record workers in the hotel asking him to pay his outstanding. When payment was finally made, the matter was promptly referred to the police. 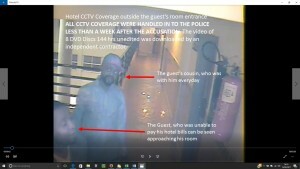 The hotel provided the police with complete CCTV footage (8 DVD discs with 144 hours of complete or unedited video recordings showing the room’s external corridor i.e. shows all entrance and exits to the room in question. If anyone reading would like to independently verify, you can ascertain the fact with the DPO and IPO of Mafoluko Police Station Lagos. The police professionally conducted a thorough investigation looking at our housekeeping, security, visitor and CCTV logs. They also interviewed and searched all concerned staff. The police subsequently found that no hotel staff accessed his safe or even entered his room during the period of the ‘alleged incident’. The police came to the same conclusion we gave him when he made the initial claim, that if his items were really missing, it is most likely the various ‘lady friends of the night’ who visited him during his stay. What is glaringly obvious is that this person’s command of using a simple hotel safe was equally as suspect as his spelling or use of grammar. 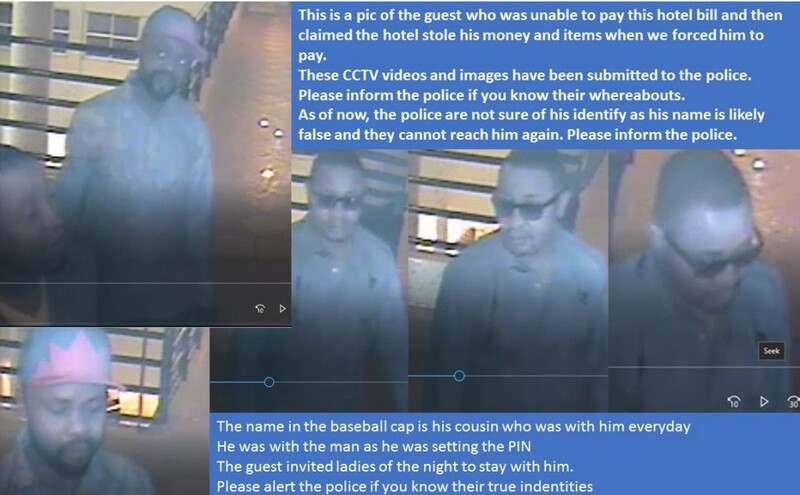 The hotel has now circulated his given ID and details to other hotels in the state to prevent them from falling into any similar situation. Please also share his pic and this video so others will fall for this vindictive SMEAR campaign. Our hotel prides itself on its integrity of the management, staff and the effectiveness of our security features and staff. We have won various industry recognition awards for our facilities and services in Lagos. You can check our website (www.welcomecentrehotels.com) and youtube (https://www.youtube.com/watch?v=202-CrLQoRQ) channels for a list of our security and safety features. We take security of our guests very seriously as we have over 62 CCTV HD recording cameras covering all public areas of the hotel. We also have police officers posted 24/7 at the hotel. Disappointing as an event as this, we leave it up to the good judgement of the readers to make their minds up. We do not ‘target’ people. We look after all our guests and we will continue to provide excellent customer service, serene comfort, safe lodgings and a friendly smile to all who lodge under our roof.